Spring, and as the wildflowers emerge from their winter’s rest, the survivors of the winter elements still cling tenaciously to their branches. The beach leaves, which have provided such wonderful hints of colour throughout the bitter, gray, winter months, are now showing the ravages of the season. Leaves once bright yellow and copper, hang from the slender branches as desiccated shards, reminders to me of what once was, as they shiver in the breezes. At their bases, new buds await an extended warm spell to unfurl their contents and replace their predecessors. New life, new growth, and reminders of what was and what will come again, in due time. This entry was posted in macro, Nature, Photography, Plants & Flowers and tagged leaves, life, renewal, spring, vestige on May 2, 2018 by Ed Lehming Photography. I simply can’t turn it off. I see photos everywhere and every day, and I would have it no other way. As an example, I saw ‘this’ as I stepped out of my car at church this morning. A light snow had melted and leaves from a nearby silver maple, bright yellow, fell and stuck to the wet truck window next to me. I love the layers here. Leaves, rain drops, reflected trees and sky, all the elements of the day in one shot. The shot pretty much composed itself. it was just waiting for me to notice it. This entry was posted in Nature, Photography and tagged autumn, composition, everyday, iPhone, leaves on November 19, 2017 by Ed Lehming Photography. Here we are nearing the end of September, and the end of summer. I was surprised to see just how much colour change is already occurring not too far north of my home. As my family and I drove through the North hastings region of Ontario this past weekend, I especially noticed than some of the maples had already turned bright red. Sadly, I’m not sure what species of maple this is but it sure stood out. I simply had to make an abstract of it. As with many of these, the finer details don’t get noticed till captured in a photo. I was subtly aware of the colour appearing in the undergrowth, but it really showed up in the photo. There was also a dead tree, bleached white by the sun, which really popped, especially in the photo. This image is part of a small series I have posted over the past few days, all made within a few hundred meters of each other on Papineau Creek. This entry was posted in Abstract, Art, Landscape, Nature, Photography and tagged forest, leaves, North Hastings, red, summer on September 20, 2017 by Ed Lehming Photography. Good bye, for the season, yellow. Now that December has arrived, there are simply no more traces of bright, sunshine yellow. In autumn, the leaves progressed from crimson, to pinks, oranges and browns, and through it all, there was always a trace of yellow. Be it from birch, maple, or tamarack, there was always yellow to be found somewhere. At times, the entire forest was aglow with yellow, whole sections of the forest floor carpeted in this bright cheerful colour. Suddenly, it’s gone. I’m not talking the muted remains, now fading to murky brown or gray. I’m talking about the pure, bold, eye-catching, light up my world yellows. So I reflect back to a day, not so distant, when I found a grove of maple trees that were in their full yellow glory. I looked up through the branches and leaves which filtered the autumn sunlight to a warming glow. I made the image above to document that moment, even as they began to show a change, prior to falling. Today, I’m happy to reflect back on this image, recalling the warmth of the sun on my face and the sheer joy of standing in this place, surrounded by the brilliant maples, soaking up the colour, knowing that it would eventually transition, as the cycle continues and the world prepares to sleep, for a while. This entry was posted in Nature, Photography, Plants & Flowers and tagged autumn, Canada, fade, goodbye, leaves, maple, winter, yellow on December 2, 2016 by Ed Lehming Photography. Back at a computer after a week of travel, and time to add some context to my simplified posts of late. The image above was taken on a whim. Autumn was just approaching and a few leaves had made an early descent to the forest floor, still littered with last years’ remnants and several green plants. The contrast between the dry gray leaves from last year, the newly fallen, and the still growing plants told the story of continuous cycle in the forest, made more noticeable to me by the bright colours, randomly scattered. 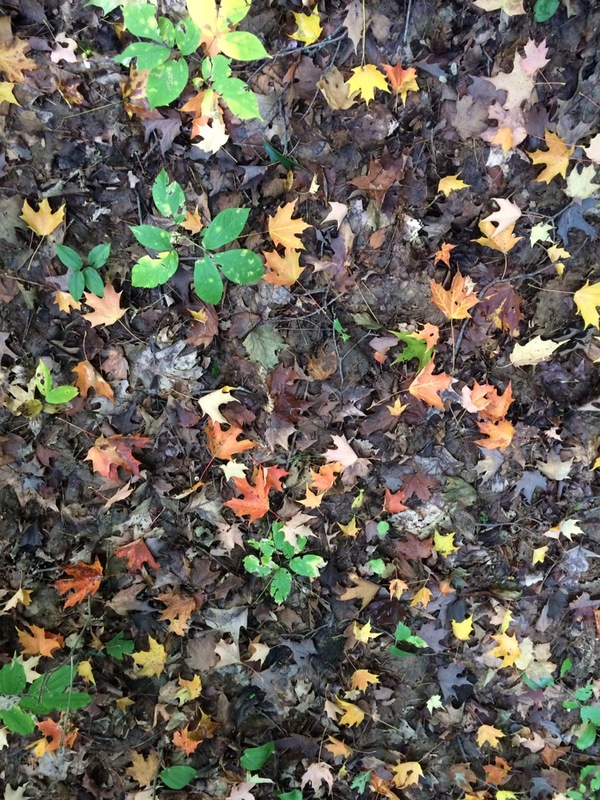 This entry was posted in Nature, Photography, Wildlife and tagged autumn, cycles, Ed Lehming, iPhone5S, leaves, Nature, susy kassem on October 23, 2016 by Ed Lehming Photography.